Take for instance eBay’s attempt to penetrate the Chinese market. We all know how big of a company eBay is in the Western Hemisphere and just how big and powerful a country China is. Unfortunately, this US-based multinational e-commerce corporation failed to establish their business in “The Land of the Red Dragon” as early as 2002 because they have little understanding of how the Chinese deals with business. It’s also worth pointing out that the government is pretty much involved in all the affairs of its people even if it is a private company or corporation and perhaps was also a factor to the company’s failure. Jobs weren’t an issue. What entrepreneurs need to remember when crossing borders and bringing their brands to foreign markets is to have someone oversee everything that is familiar with the market and has a good grasp of the culture and practices in that place so that their efforts do not go to waste. At times, entrepreneurs must learn to adapt and be flexible, something that eBay wasn’t able to do when the opportunity to expand there presented itself. About a decade ago, EBay Inc. made a legendary retreat from the Chinese auction business in the face of growing local competition. It was a defeat so humiliating that it became a business school case study. Since then, however, the Chinese e-commerce market has changed drastically — and so has EBay. As the company makes its return to the mainland, it may be at the forefront of an important trend in online trade. EBay recently announced that it’s partnering with Ningbo, a major port and manufacturing hub, to help boost the city’s e-commerce with the rest of the world. That’s a farsighted move. In 2016, Chinese shoppers made a whopping $86 billion in online purchases from vendors in other countries. Globally, such trade was just as healthy, adding up to $300 billion in 2015 and growing at nearly 25 percent a year — faster than domestic e-commerce. At a time when globalization otherwise seems to be in retreat, companies taking advantage of this kind of trade are looking like the future of retail. 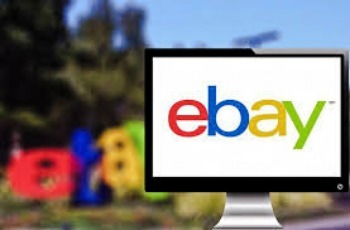 However, it seems that more than a decade is enough time for eBay to innovate and rethink their strategy because they’re once again considering a China expansion. They sure have learned from their mistakes and the Chinese market is pretty big and profitable for them to keep ignoring it any longer. This time, they are partnering with Ningbo to help them realize their dream of enjoying a slice of China’s pie. It may actually work this time as Chinese consumers are constantly anxious about the dangers of many fake local products and there is a growing middle and upper class that can afford more expensive (even luxury) Western brands.